Pollution isn’t going away soon, so it’s good to know that there are ways that can prevent pollution from affecting your skin any further. After a long day, cleansing your face before going to bed removes all the dirt, gunk and pollution that has accumulated on the surface of your skin during the day. This is a very important step that many of us fail to do especially when we feel too lazy or too tired already. But always remember that a few minutes of sacrifice helps your skin a lot and prevents it from further damage. It also preps your skin for the next skin care products that you will be putting next. Cleansing your face isn’t just something that you do at night, even in the morning you should use a gentle cleanser that can rinse off sweat, excess oil or skin care products that you used the night before. One or twice a week, you can also exfoliate either by physical or chemical exfoliation in order to remove dead skin cells. This can help reveal a brighter and clearer skin if done correctly. Never over exfoliate as it can do more harm to your skin and be more prone to damage. To double-cleanse, you can also use a cotton pad with a toner and swipe it across your face to make sure that there is no dirt residue that your cleanser failed to remove. Toners also balance the pH levels of your skin if your cleanser was too acidic, making it feel and look more hydrated and plump. Pollution not only damages the skin directly but also causes the thinning of the ozone layer. This makes your skin prone to sun damage twice or thrice as much. Even on days where you don’t see the sun, like on cloudy days and rainy days, never assume that the UV rays are not there to damage your skin. 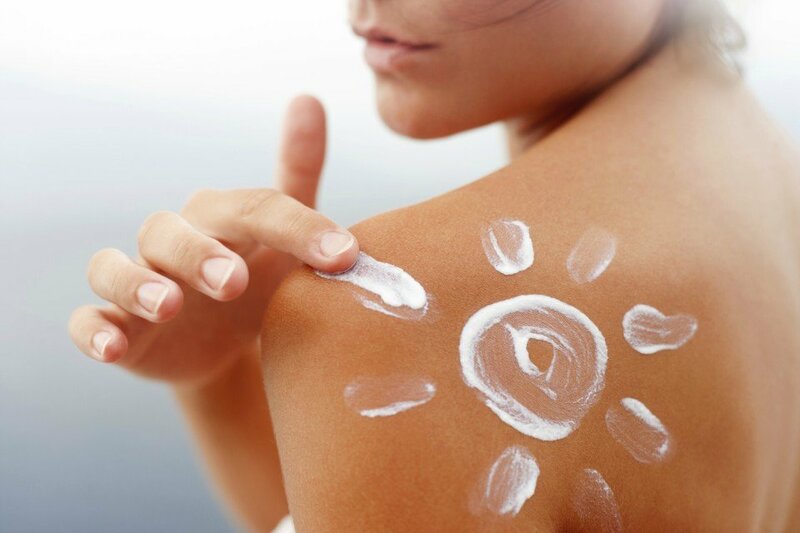 Make it a habit to wear sunscreen regardless of the weather outside. A big thank you to the beauty and cosmetic world for creating a sunscreen that can be worn on a daily basis unlike before– wherein sunscreens are unbearable to use especially to those who are darker in skin-tone because of the opaque white cast it leaves on your skin. Not to mention that sunscreens used to be a nightmare for those who have oily skin! Well, those days are gone. There are a lot of lightweight sunscreens that are now highly available in the market. Now, there’s no excuse to not use sunscreen anymore, right? Protecting your skin isn’t just done on the outside, but also on the inside. Eating a healthy diet and food rich in antioxidants can help your skin get back to its former glow. Foods rich in carotenoids like beta-carotene, lycopene, and vitamin C are a great option. 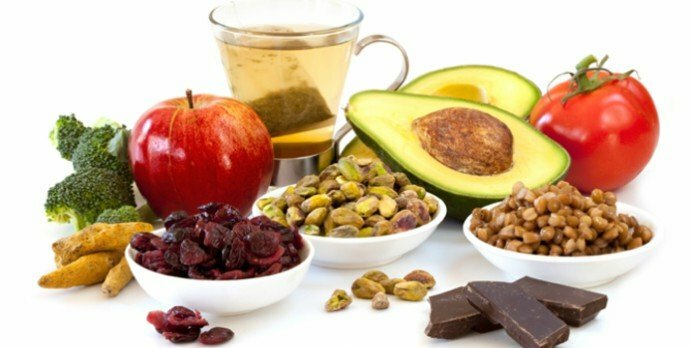 Foods like Goji berries, wild blueberries, dark chocolate, pecans, artichoke, elderberries, kidney beans, cranberries, blackberries, and cilantro are just one of the few that is recorded to have the highest ORAC scores as antioxidants. When you go outside, it’s not like the old days wherein there’s fresh air. Even without the visible presence of pollution in the air, I could tell how disgusting my face feels whenever I would go out. ? It’s true that even after washing your face with a good cleanser, you could still get traces of makeup and dirt with cotton pads. Sometimes I even go through the process of deep cleansing with clay masks because I feel like my pores aren’t clean enough. For antioxidants, I know that fruits and vegetables are the best sources for it. How about supplements? Exfoliation is important. I used to think that I didn’t need it because I know our skin exfoliates on its own. I guess when you grow older, that process slows down as well. So, we need help from such products.? I think so too. How often do you exfoliate and what do you use? About once a week. I do physical exfoliation. I think it does a better job of removing black heads around my nose. Hmmnn… Thanks! I’ll keep that in mind. I used to think chemical exfoliations are better. I tried skipping toners before because I ran out of it and felt too lazy to buy another. What happened was that I got breakouts. I think it was because my cleanser isn’t enough and the pH levels of my skin were out of whack. What do I do, sunscreens keep breaking me out. I think the formula is just too heavy even brands that claim that they’re “LIGHTWEIGHT”? Because of that, I skip sunscreens. I know that the UV rays nowadays are harsher than ever. I don’t want to damage my skin. Taking care of our skin is hard. It’s not like any product will work. So we sometimes have to go through tons and tons of products before we can even find one that works for us. I’m jealous of other people who have great skin even if they don’t try. ? I take vitamin C supplements and I think it helps with my skin. I’m not sure how or why but it just does the trick. Have you guys tried any supplements for a better skin? I’m currently using a spray sunscreen so it feels a lot better on the skin. The only problem is that I don’t feel like it’s as effective as lotion/cream sunscreens. I hate pollution but it’s our fault that it’s like this anyway. I don’t think air pollution can be reversed like the trash we’ve disposed of in our oceans. We can clean up all we want but we’ve done too much damage already. We can still do something like plant trees in order to have better air. My mom says I have to wear sunscreen even indoors. Is this true? She also told me that even the screens of my laptop can cause skin darkening. I think she’s just scaring me.? I always urge my teenage sister to wash her face whenever she would go out. She’s been breaking out lately, thanks to puberty, and she’s asking me for help with regards to this issue. I think it has something to do with pollution and her pores might be clogged. No thanks to the beauty industry because I still hate sunscreens.? They’re so sticky and it’s just horrible to put them under makeup. It makes it slide off and cake up! But there are sunscreens that also act like primers, you might want to keep looking! UV rays travel even under the clouds so it’s true that even if it’s cloudy, or even when you’re indoors you should still use it. I haven’t seen any sunscreen that has yet to produce white cast, so when I go to events, I skip sunscreen even if I know it’s bad or me.